Eating healthy food on a budget can be a challenge for many busy Americans. Most of us do not set out to fill our bodies with processed junk foods. It just comes with the pressures of daily living – working overtime, getting the kids ready for school, running errands, etc. At the end of the day, you just want to crumble on the couch and relax: cooking a delicious and nutritious meal may seem like a herculean task. Consequently, you end up spending way too much money on food with low nutritional value. Our mission is to help you feed your family good wholesome food on a budget. Instead of throwing money away on overpriced, over-processed foods, we promote using healthier foods and simple recipes. Let’s get started! How much do you currently spend on food? – You need to have a good idea of what you typically spend before you can make a realistic food budget. Use a spreadsheet or notebook to keep track of how much you spend on groceries, drinks, and eating out. Create a Weekly Plan – Most budgets are based on a monthly income since weekly incomes can fluctuate. However, it may be difficult to stay away from the grocery store for a whole month or even two weeks. You will need to plan for a weekly food budget allotment based on what you will be eating for breakfast, lunch, dinner, and snacks. Have a List on Your Fridge – As soon as or shortly before you run out of food items, list them on your fridge list. 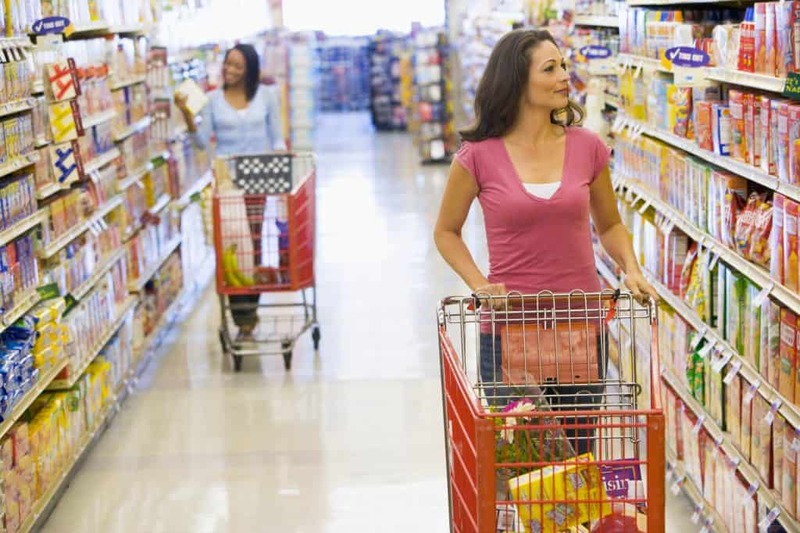 This will help you stick to what you need when you do go grocery shopping. Prioritize Your Shopping – There are certain items your family simply needs, such as bread, milk, and fruit. These should take priority over desserts or toppings for meals when your funds are running thin. Find Coupons – Scissors and circulars are not the only way to coupon these days. You can easily find what coupons are currently available in your area on websites like Smart Source, redplum.com, and Coupons.com. Shop Online – Not only can you compare prices at various supermarkets online, but you might be able to have food items shipped to your front door for a lower price than if you were to buy them at a local store. Buy in Bulk – For the most part, the larger the container, the less expensive a product will be per unit. You do need to use caution, though, since this is not always the case. Bring a calculator to help you compare costs per unit (i.e., dollars per ounce). Also, do not buy a lot of something you are unsure you will use. For example, are you really going to go through a gallon of sour cream before it goes bad? Stick to Your List – The supermarket is set up to make you spend, spend, spend. If you do not go in with a plan, you are likely to fill your cart with whatever products strike your fancy in the moment. Checking the unit price helps to identify bargains on bulk buys. 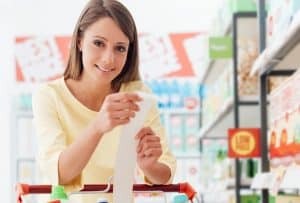 Avoid Expensive Snacks – The snack aisle offers little in the way of nutrition, and you can usually make healthier alternatives at a lower cost. 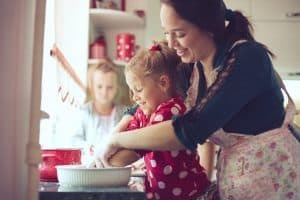 When was the last time you saw a commercial for making your own whole, simple meal? Sure, there are over-priced meal plans out there, but you don’t see ads encouraging you to buy affordable ingredients to make your own dinner. Instead, the manufacturers of over-processed foods are filling the airwaves with their ads and passing the markup needed for their bloated marketing budgets along to you, the consumers. 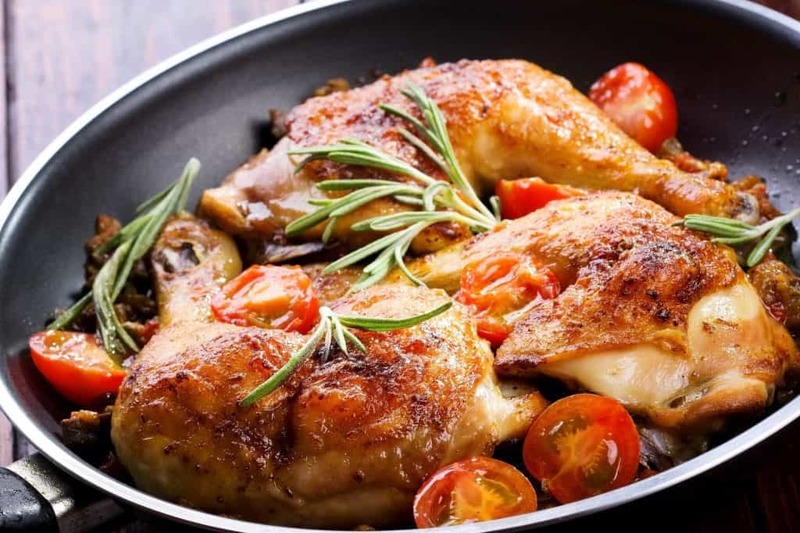 A simple meal of roasted chicken and tomatoes is very budget friendly. 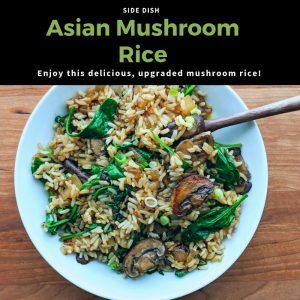 When you cook your own meal featuring whole foods – free of additives and weird chemicals you can’t pronounce, you eat healthier and save money. 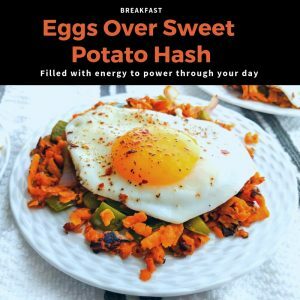 Fortunately, we have a full complement of easy, budget-friendly recipes that are sure to please even the pickiest of eaters. 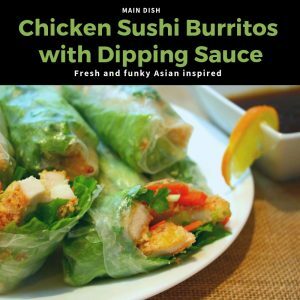 All of the recipes we showcase are relatively simple to prepare with basic ingredients: no fancy techniques or specialty food items needed. Plus, they will provide a great opportunity for you, your kids, and your spouse to work together in the kitchen. 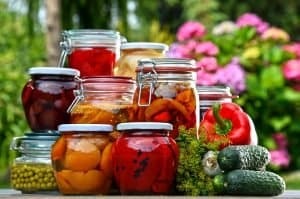 Preserving the food you buy (or grow can extend your food budget. 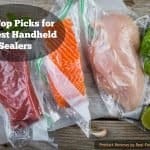 Vacuum Sealers – Cooking big batches of food at home is the best way to save on water, ingredients, and electricity. The tricky part is dealing with the leftovers. Home vacuum sealers are ideal for this purpose. They remove all of the air, locking in the flavor, and decreasing the chance of freezer burn. Pressure Canner – Every kitchen can benefit from a pressure canner or traditional canner. By enabling you to make your own canned fruits, meats, and vegetables, they save you money in the long term. This is especially useful if you have your own garden. 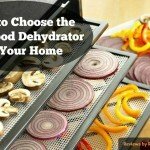 Food Dehydrator – By now, you are probably noticing a theme: kitchen gadgets that allow for long-term food storage are going to save you money. This is also true of the food dehydrator, which is ideal for people who frequently buy sundried tomatoes, trail mix, dried fruit, or jerky. Plan – Whether it is creating a food budget or having a list of what you are going to purchase at the grocery store, planning is an essential part of smart shopping. Get Creative – My toddler loves cheese crackers, but they can get expensive and have limited nutritional value. With a little research, I was able to figure out a healthier, more affordable way to make these crackers myself. There are many hacks like this for the creative homemaker. Collect an Arsenal of Recipes – Was that tuna bake a big flop at your dinner table? Toss the recipe. On the other hand, if your family gave your honey-glazed salmon fillets rave reviews, save the recipe for later. The more adventurous you get, the more options you will have to choose from. Invest in Useful Gadgets – Cooking large batches of food can save you time in the long run. You just need to have the gadgets necessary to store your meals. Keep Track of What Works and What Doesn’t Work – What works for others may be a major pain for you. Find solutions that fit your lifestyle. With a little practice, you will have the skills to be a savvy home chef in no time. We’ll be here to help you along the way!